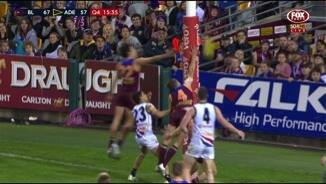 The Lions won the clearance count 4441 but were outscored by 15 points from stoppages. Scott Thompson finished with a teamhigh 28 disposals, equal game-high 15 contested possessions, game-high 12 first possessions,10 clearances and 10 score involvements, and equal team-high six tackles. 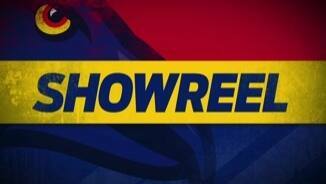 The Crows have booted five goals from stoppages this quarter and six for the match. Patrick Dangerfield has won a teamhigh three clearances, two of which have launched Crows' goals. The Crows lead the contested possession (2920), clearance (10-9) and tackle (13-9) counts this quarter. Patrick Dangerfield has an equal gamehigh three goal assists including the last two of the game. 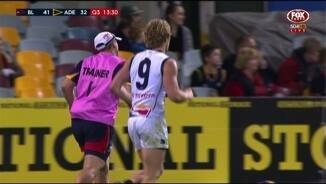 The Crows have won five clearances this quarter and generated five scoring shots from them. Josh Jenkins has grabbed a gamehigh three marks inside 50 and has an equal game-high eight score involvements. 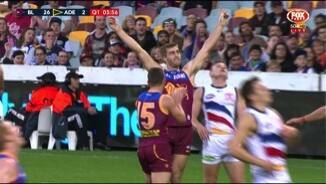 Scott Thompson has won a gamehigh nine clearances. His ninth launched the Crows second goal from stoppages. Despite losing the hitout count 137 that quarter the Lions won the clearance count 11-6 and generated three scoring shots to one from stoppages. Dayne Zorko was the equal highest ballwinner that quarter with seven disposals at 100 per cent efficiency. He won an equal game-high four contested possessions and a game-high three clearances, including one that launched a goal for his team. The Crows scoring accuracy is 58 per cent this season, ranked 15th. Their scoring accuracy is 28 per cent this game. The lowest percentage in a completed game this season is 31 per cent. The Lions have lost the time in forward half differential by an average of seven minutes and 24 seconds per game this season, ranked 17th. They are losing time in forward half by 10 minutes and 45 seconds this game. 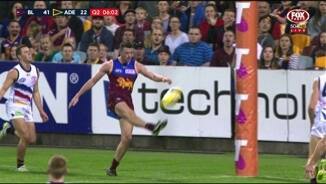 Brisbane Lions InterchangeTom Cutler was substituted into the game for Pearce Hanley. 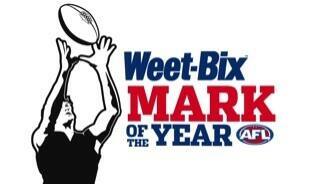 The Lions have booted five goals from turnovers. That was their first from a forward half turnover. The Lions have scored 19 points from chains originating in their defensive 50, all from turnovers. The Crows have now scored 14 points from turnovers this quarter and 29 for the game. Crows InterchangeRory Sloane off due to an injury. 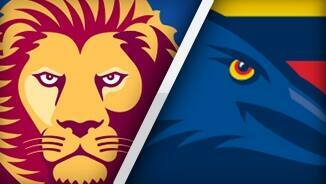 Lions InterchangeJustin Clarke off due to an injury. Welcome to Gabba for the Brisbane Lions v Adelaide Crows Round 13 clash. 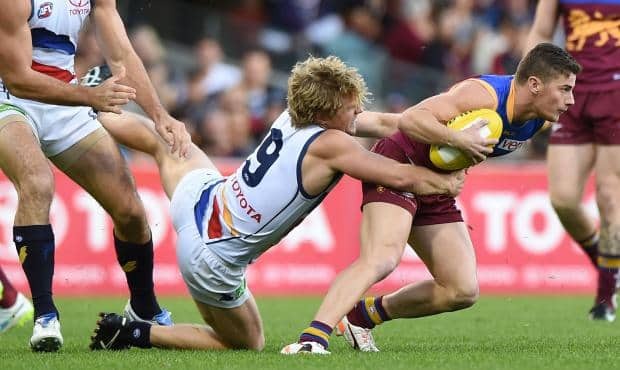 ANOTHER injury to Rory Sloane and a misfiring Taylor Walker could not stop Adelaide from grabbing a come-from-behind 13-point win over the Brisbane Lions at the Gabba on Saturday night. 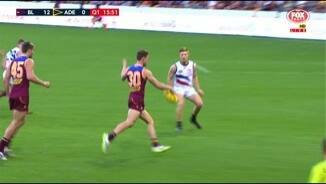 Midfielder Sloane was subbed in the third term with a fractured cheekbone while captain Walker (2.5) still appeared hampered by a bruised hip in ominous signs for the Crows. However, nothing it seems could deny Adelaide from moving to seventh on the ladder with a 7-5 record, just 0.3 per cent behind Richmond. They dug deep to reel in a 24-point fourth term deficit to earn a much needed 11.16 (82) to 10.9 (69) win. An erratic Walker at one stage couldn't take a trick, prompting one Crows fan to unfurl a banner boasting a target behind the goalposts. 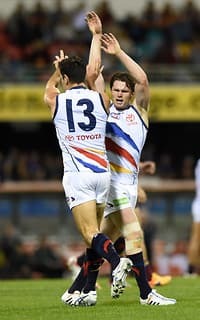 But all was forgiven when Walker finally rediscovered his radar and kicked a booming 50m goal in the 21st minute of the final term - the first time Adelaide enjoyed the lead. In the end Adelaide kicked six straight majors and kept a gutsy Lions goalless in the final term to notch a crunch win. Adelaide's second victory in three games was a much needed shot in the arm ahead of a tough block of games that may define the Crows’ top eight chances - Geelong (home), West Coast (away) and Port Adelaide (away). The Crows will still be sweating on their talisman Walker who appeared hampered by injury and did not register the first of two goals until six minutes into the third term. 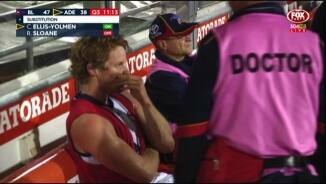 And Sloane is another major concern after being subbed in the 13th minute of the third term clutching his face. 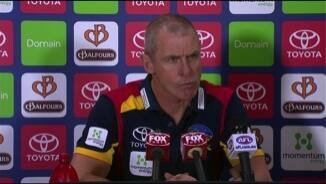 Adelaide coach Phil Walsh later confirmed Sloane fractured his cheekbone and will miss 4-6 weeks. He had only just come back from a broken jaw. "We were very ordinary for three quarters but I was very happy with the finish," Walsh said. "I am a glass half full guy." Walsh said the team doctor "feared the worst" for Sloane's third term injury. "I don't want to dismiss it because he is a very important player ... (but) NFL have a saying 'next man up', and that's what we will do," he said. It was another disappointing fadeout for the Lions who had hoped to snap a four-game losing run and notch their third win of the year and first since May 17. The Lions have lost seven of their past eight at home, their worst run in five years. Lions coach Justin Leppitsch played down a hamstring complaint that forced Pearce Hanley to be subbed in the third term. "We put the foot to the floor and ran out of gas - that's better than lapses within games," Leppitsch said of the fadeout in their fifth straight loss. The Lions kicked the first four goals of the match to jump to a 25-point lead before the Crows reduced the first term deficit to just 12. By half-time, the Lions led 6.5 (41) to 3.6 (24) thanks to a Hanley goal from a wonderful weaving run. The half-time crowd saluted Lions defender Matt Maguire who announced his retirement this week due to ongoing concussion problems.